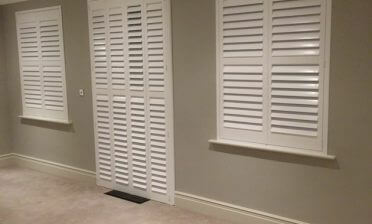 Shaun was in our local area of Bromley in Kent to fit some of our shutters to a kitchen window. The client was looking for a modern window dressing which would work with the modern styling of decor in the kitchen area, as well as provide them with the ultimate in light control and privacy when required. 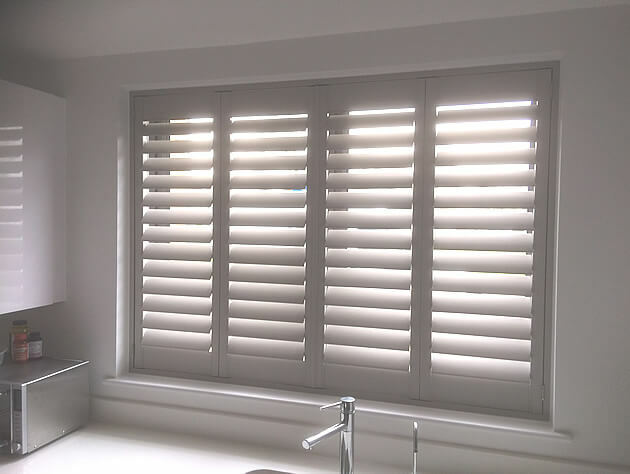 The shutters were created from our Bali Range which is one of our water tight solutions ideal for areas which will come into contact with water and moister, such as kitchens and bathrooms. As these shutters were fitted above the sink our Bali PVC shutters were the perfect solution to avoid warping and damage from moisture over time. 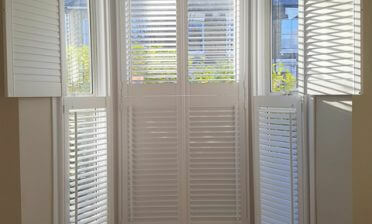 Also the PVC coating allows the customer to adjust the shutters using wet hands if they are using the sink. 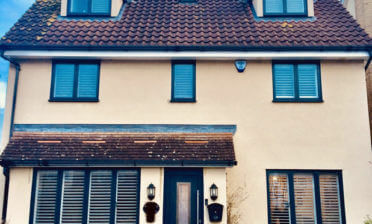 In keeping with the modern look we were trying to achieve with these shutters we used thick 89mm louvres with a hidden tilt rod system, which allows for adjustments without the need of slightly rods on each panel. There is also an invisible split half way up the shutters allowing for the top and bottom to be adjusted at different levels without the need for a visible mid rail! All these touches also helped create a more minimalistic look for the client. We finished these shutters in a lovely Sea Mist colour with stainless steel hinges which really makes these shutters look the part in this kitchen.